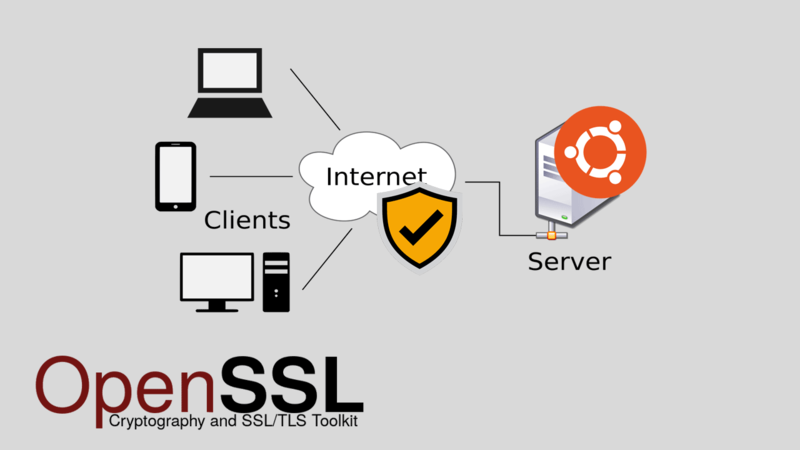 In this tutorial we will learn how to configure Ubuntu Apache2 web server with Secure Sockets Layer /Transport Layer Security (SSL/TLS) by installing a Self-signed SSL certificate using OpenSSL. We began by enabling the mod_ssl package, we then proceeded to create the server certificate using the openssl command and apply certificate to the Apache virtual host. At the end of this tutorial you will know how to generate Self-signed certificate using the openssl command and configure apache web server to apply the certificate. Note that HTTPS uses a protocol called TLS, which superseded SSL. But the term SSL is still used when discussing secured HTTP traffic, So when we say SSL, actually we are referring to the TLS (Transport Layer Security). How to Install Apache on Ubuntu 18.04. Generate the self signed certificate using the openssl command. You will be prompted to provide information such as Country Name, State and Organization Name. All these questions are optional except for the Common Name. The Common Name (CN) field is very important and should reflect the domain name of your website. A self-signed certificate is good for tests and internal use. But if you are intending to use an SSL Certificate on a production website, it is recommended to install SSL Certificate provided by a trusted Certificate Authority. Letsencrypt is such a Certificate Authority that provides free SSL/TLS certificates. How to get Free SSL Certificate for Ubuntu 18.04 using Let’s Encrypt.